Nuuk is trying to make Brussels aware that a bad Brexit deal for Greenland would also be bad for the EU, too. The future of Greenland’s trading relationship with the United Kingdom begins in Brussels. Greenland is not an EU member, but, as a part of the Kingdom of Denmark, it is part of the the union’s group of Overseas Countries and Territories and can export to union members tariff-free. Greenland, though, is concerned that uncertainty over Brexit, the UK’s planned secession from the EU, will mean that it will have to begin paying tariffs to export to one if its most important trading partners. The loss of tariff-free access, according to GE, a business lobby, could result in a 17 percent fall in exports to the UK. This would hit the fishing industry — which accounts for a third of Greenland’s economic activity — especially hard, particularly when it comes to sales of shrimp: Royal Greenland and Polar Seafood, the two largest seafood exporters, sell 30 percent of the ready-to-eat shrimp they produce to the UK. Nuuk is acutely aware of the consequences of a botched Brexit. In December, Karl-Kristian Kruse, then the fisheries minister, called trade with the UK “one of the most important elements” of its fisheries policy. The ball is not entirely in Nuuk’s court. Kruse made it clear that the shape of Brexit would influence Greenland’s relationship with the EU, which is built up around a six-year, €16 million ($17 million) quotas-for-cash deal that ends in 2020. His implicit threat was that if Nuuk is dissatisfied with efforts to secure a good tariff deal, it can sell its quotas to the UK instead, or just keep them for itself. Vivian Motzfeldt, a member of the cabinet who is responsible for foreign affairs, recognizes that Brexit negotiators have more pressing issues, and that if Greenland does not keep bringing its interests up they are apt to get overlooked entirely. So far, keeping Greenland’s position in the forefront of negotiators’ minds has involved a high-level visit to Brussels at the end of 2017 and the release of a report detailing the ways Greenland could be affected by Brexit. Motzfeldt, who assumed office in May, will continue the lobby effort when she travels to Brussels later this month to push the issue with the Eurocrats working out the final shape of the EU’s relationship with the UK. “Naalakkersuisut (the administration in Nuuk) has a special interest in ensuring that Greenlandic firms continue to have tariff-free export access to Great Britain,” she told the national assembly in June. 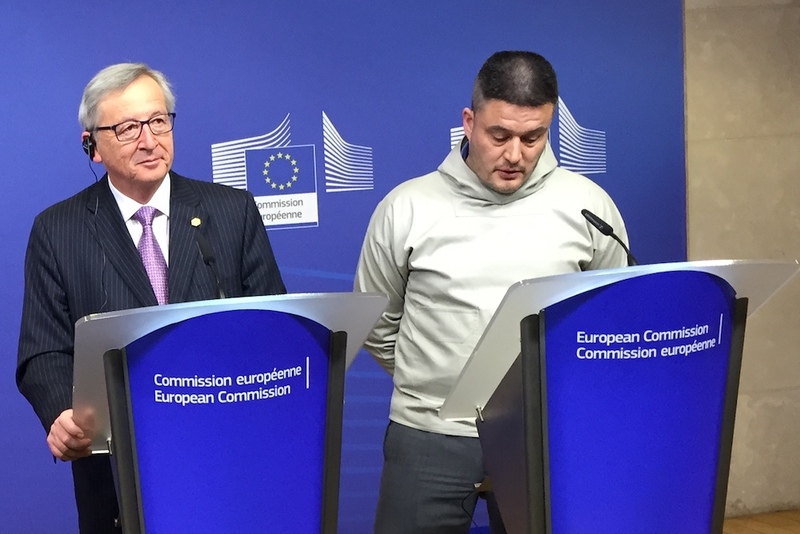 To help ensure that Brexit does not turn out to be a bad deal for Greenland, Nuuk and Copenhagen have both invited Jean-Claude Juncker, who heads the European Commission, the EU’s executive branch, to Greenland to hear their arguments. Officials in Copenhagen say he is willing, though, according to Juncker’s office, nothing has been confirmed. Setting a date would go a long way towards ensuring that a good deal can still be had by all.